Wonderfully maintained second floor condo located in the heart of Richmond Hill with 3 bedrooms and 3.5 baths plus bonus room! This home features a large covered porch. Very open floor plan. Large gourmet kitchen with island, Corian countertops, plenty of cabinet space, and stainless appliances. Beautiful built-ins in living room with gas fireplace! Separate dining space. Separate office! Master bedroom suite features a large walk-in closet. Master bath features double vanities, separate shower, and jacuzzi tub! Jack and Jill bath between two bedrooms. Private full bath in bonus room with glass shower. Oversized 2-car garage with storage shelves! 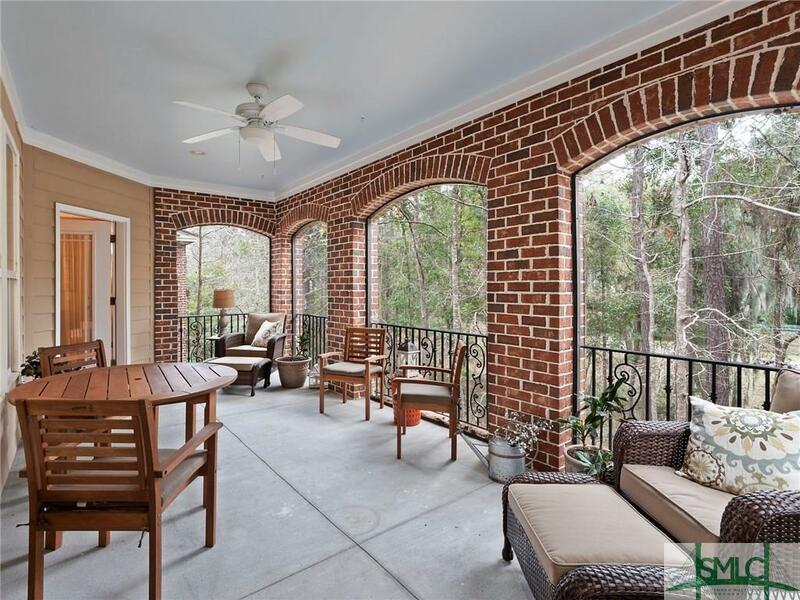 Enjoy the pool, fitness center, and dock on the Ogeechee River! Short drive to Fort Stewart and Hunter AAF!